Key Choral Concepts is a goldmine of valuable information for choir directors and members of choral organizations. It draws from the resources of the author’s Teaching Choral Concepts curriculum which has been used with great success by many high schools and university groups across the nation. The book includes basic principles for more than thirty-five essential aspects of choral singing, presenting them in a concise format that can be easily understood. 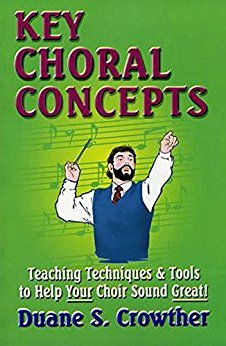 Every page includes key concepts choir members should utilize to improve their personal singing abilities and musicianship. Many of the materials presented are accompanied by valuable diagrams. Every concept is an essential building block for constructing a fine choir, and this book presents them in a precise and orderly manner. It’s obvious that Key Choral Concepts truly contains a wealth of valuable knowledge every choral musician should acquire! Key Choral Concepts is a goldmine of valuable information for choir directors and members of choral organizations. It draws from the resources of the author’s Teaching Choral Concepts curriculum which has been used with great success by many high schools and university groups across the nation. The book includes basic principles for more than thirty-five essential aspects of choral singing, presenting them in a concise format that can be easily understood. 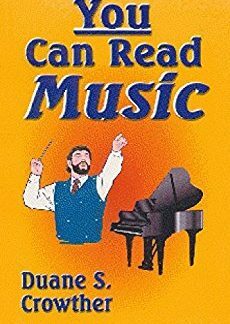 Every page includes key concepts choir members should utilize to improve their personal singing abilities and musicianship. Unit 1 focuses on correct singing and standing posture for singing; the breathing mechanism; controlled breathing; voice-part classifications; vocal ranges; the reed-flute tone continuum; change-of-color points; and audition preparation and techniques. Unit 2 covers the objectives of vocal training; the singing mechanism; open throat; personal warm-up; care of the voice; vocal resonance; good singing tone; attacks and releases; and effective practice. Unit 3 deals with dynamic levels; extending vocal ranges; head resonance and head tone; humming; basic musical styles; correct phrasing; vocal flexibility; intonation; and use of the phonetic alphabet. Unit 4 discusses the concepts of balance and blend; lip and tongue positions for singing vowels; diphthongs; articulation; singing consonants; enunciation; and pronunciation. When the Teaching Choral Concepts curriculum was first prepared, valuable quotations from distinguished music educators were assembled on each of the above topics. Those indispensable quotations are reproduced in this book. Also, the extensive materials prepared for teachers to use in reviewing each of the four units has been reprinted here, as a help for those who are using this book as a personal study guide. Many of the materials presented are accompanied by valuable diagrams. 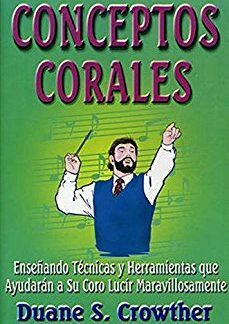 Every concept is an essential building block for constructing a fine choir, and this book presents them in a precise and orderly manner. It’s obvious that Key Choral Concepts truly contains a wealth of valuable knowledge every choral musician should acquire!